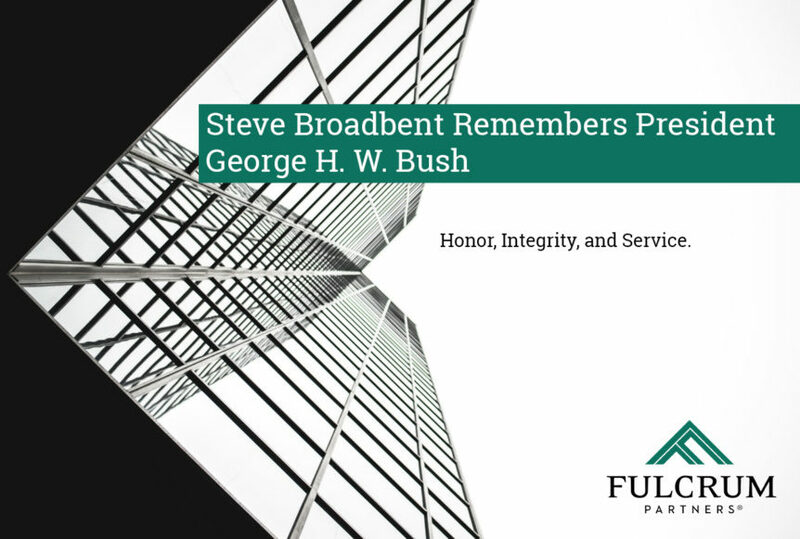 Fulcrum Partners joins the nation and the world as we mourn the loss of President George H. W. Bush and honor his legacy of service. Steve Broadbent is a Fulcrum Partners Managing Director in Atlanta. Before becoming part of the Fulcrum Partners team, Steve was the Deputy Assistant Secretary for the U.S. Department of the Treasury, appointed by President George H.W. Bush. While serving President Bush, Steve led White House Advance Teams on diplomatic missions throughout Europe and the Middle East. Steve shared the following insights about his time in service under President Bush. These words were instilled in me as a young officer in the United States Navy; however, the words came to life when I had the opportunity to witness the actions and statements of President George H.W. Bush at a close distance. 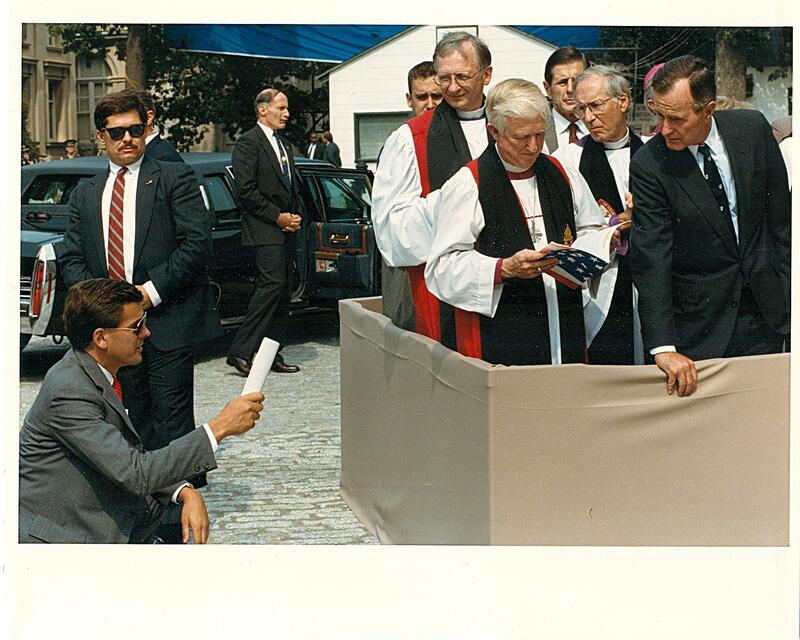 I was honored to serve President Bush as a White House Advance Representative when he was Vice President under President Reagan and during his four years as President, while simultaneously serving as a Deputy Assistant Secretary in the Treasury Department. His presence in American politics will be missed. At all times, President Bush was a gentleman who served the nation with a level of civility that has been lost in today’s politics. 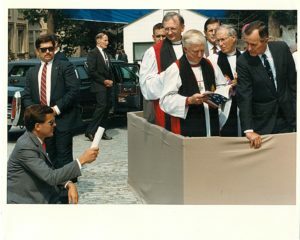 My favorite photo is with President Bush at the laying of the capstone at the National Cathedral, which was his last stop in Washington, DC on Wednesday before he returns to Houston. May God bless President H.W. Bush.